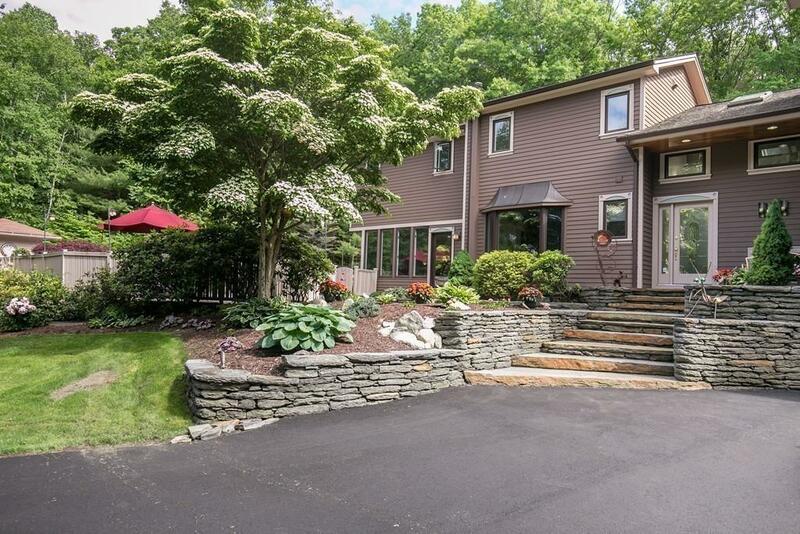 Meticulously maintained light filled contemporary retreat just minutes to downtown Northampton. 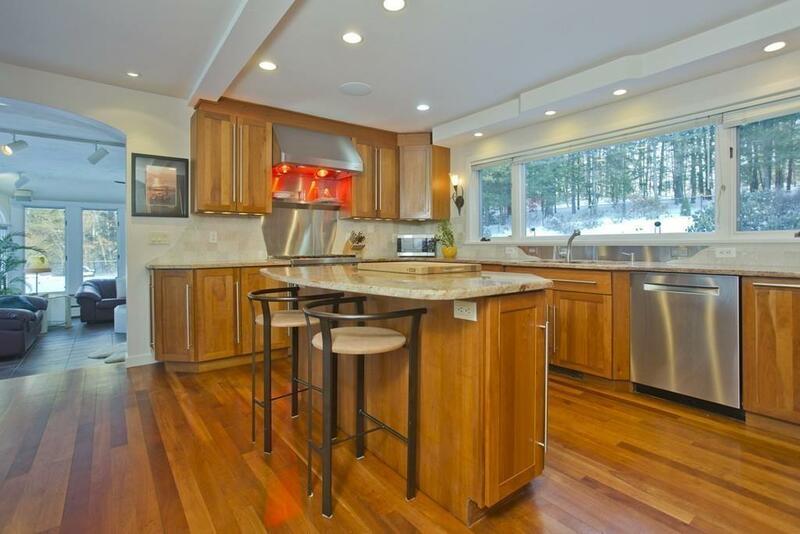 From the handsome gourmet kitchen with custom cherry cabinetry, Murano lighting and Viking convection stove to the 40 yard professional chipping mat and putting green in the backyard, youll be enchanted at every turn. A spacious yet cozy four-season sunroom with stucco fireplace & custom media built-ins overlooks the side yard with heated pool and fully equipped outdoor kitchen. 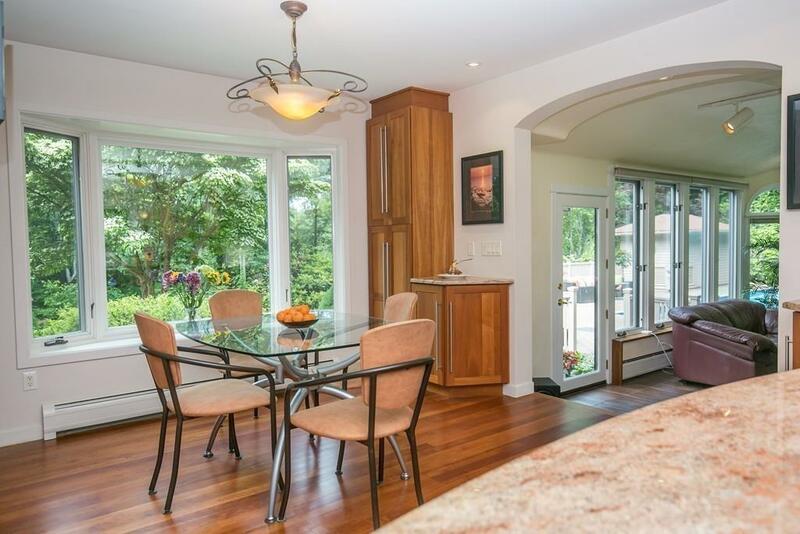 Formal dining and living rooms also provide enticing views of the professionally landscaped backyard & waterfall. Upstairs youll find 3 bedrooms, a yoga studio/weight room, office w/ private entrance & full bath with porcelain soaking tub. Private master suite offers built in designer cabinetry, Zen gas fireplace, dual walk-in closets, double steam shower and granite vanity. Goshen stone entry, new driveway, 3-car garage, professional interior/exterior lighting and sound systems are just a few of the highlights. 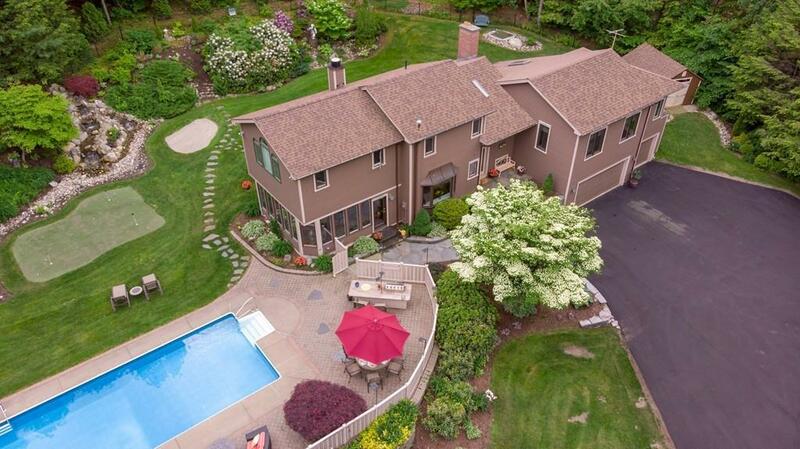 Disclosures See Attached List Of Property Highlights And Fun Video Tour.